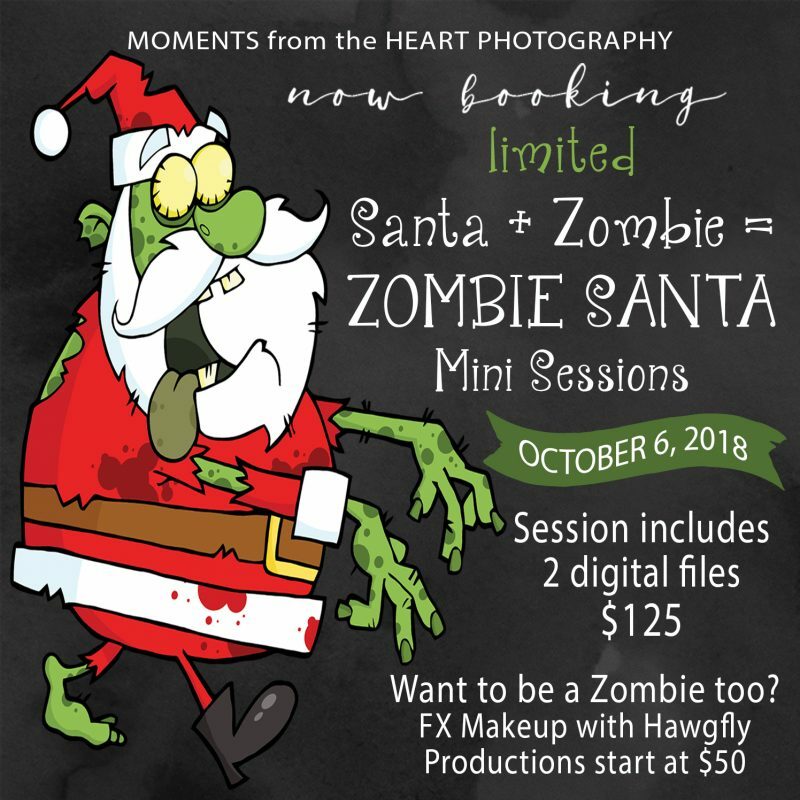 WHAT TO WEAR: Bring your best attire or better yet join Santa in the zombie apocalypse when you hire Hawgfly Productions for their FX Makeup talent. INFO: Use the form below to choose your time slot and collection (includes session fee plus files). A session is 10 minutes long. 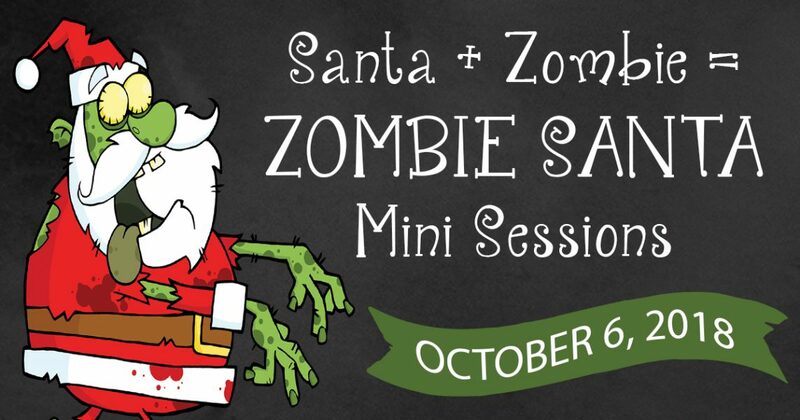 Two slots are highly recommended for those with 4 or more if you want a group image as well as individuals with Zombie Santa. *If you feel longer time is needed you can book two slots.